Our Holiday Food Drive is in its last week! Thank you to all those who have donated so far! Please bring in donations of non-perishable food or money. 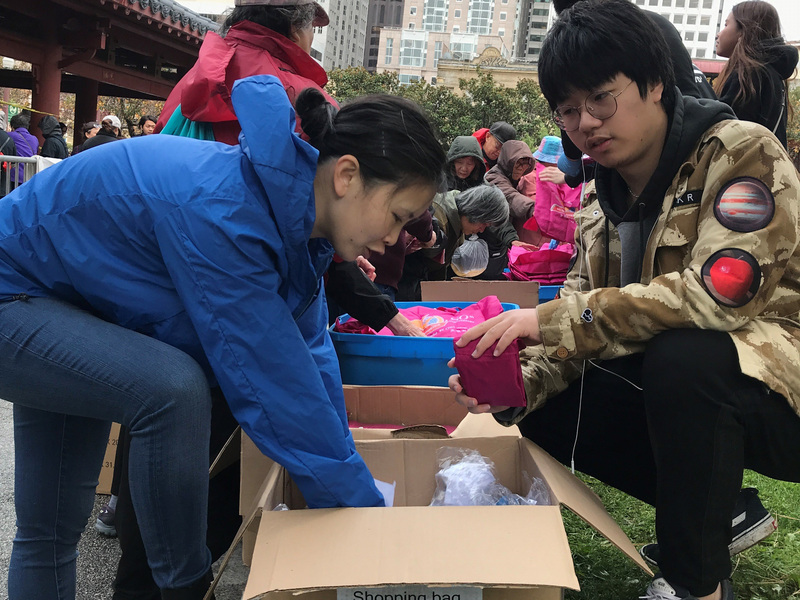 All donations go directly to the San Francisco-Marin Food Bank. Thank you for helping our students care for those in need! 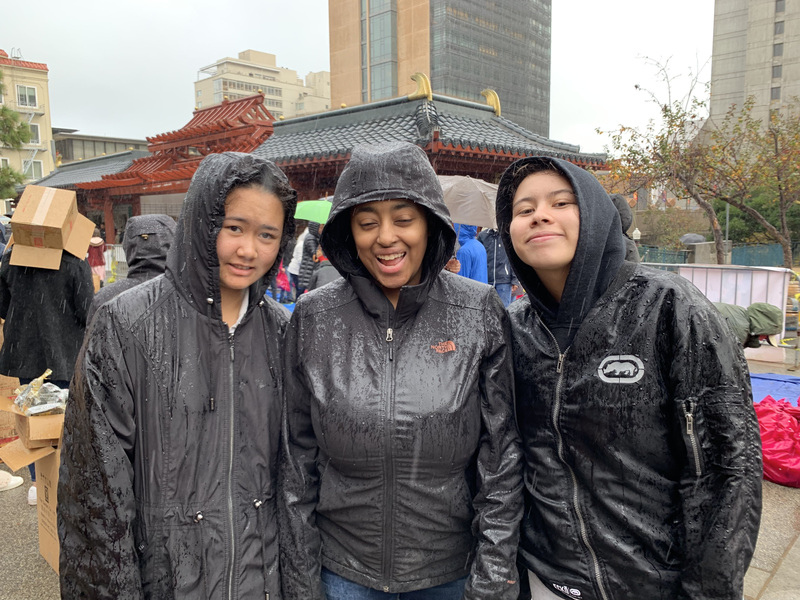 Also, an enormous thank you to all of our students and teachers that braved the rain to volunteer for our Community Service Field Trip to the Chinese Newcomer Service Center Food Drive! Everyone worked incredibly hard, and I could not be more proud of our community for doing such great work. 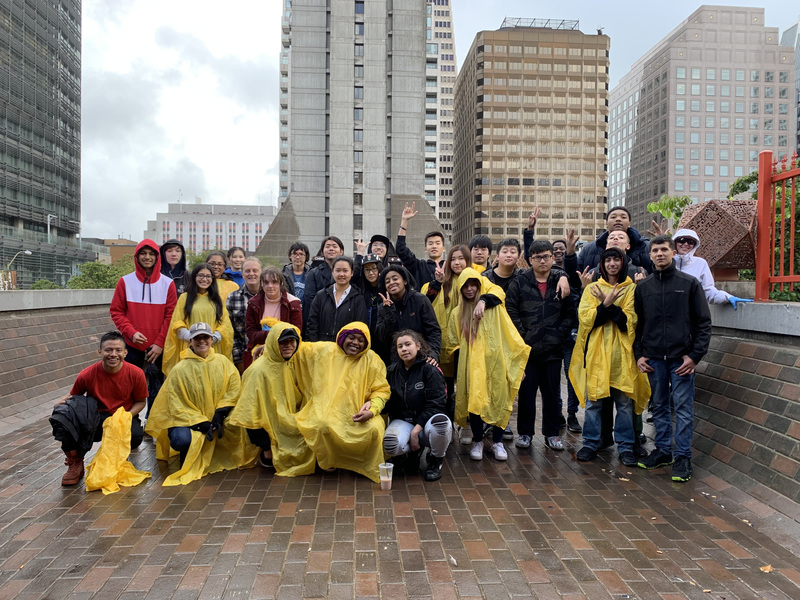 In addition to a commemorative shirt, students received ten hours of community service for their exemplary work. Final exams can be one of the most stressful times of the school year for students. Please encourage your child to pace their studying for the review week. Completing a little bit of studying every day can make everything feel less daunting. Also, it is always essential for students to be at school, and this is especially true for exam week. Teachers will be reviewing an entire semester of material in just 180 minutes of class time, and every minute counts! Please ask to see your students’ review packets they will receive for each exam. Everything on their final exams will come from those review packets. During final exam review week, teachers will review study guides with students to help prepare for each exam. No new material will be covered during this time. Parents Coalition of the Bay Area will sponsor a speaker event on Monday, December 10th. The topic is “The Wild West: Cannabis, Vaping, and Other Substance Use Among Teens in the Modern World.” The Speaker is Danielle Ramo, Ph.D., Director of Research Operations at the Hopelab Foundation and Adjunct Professor of Psychiatry at University of California San Francisco Medical Center. The event is at Lowell High School, 1101 Eucalyptus Drive, at 7:30-9:00 p.m. Tickets are $10 in advance and $15 at the door. Register at ParentsCoalition.Net. Student progress reports will be sent home with students on Wednesday, December 12th. If you do not have the opportunity to see your child’s report, please email School Office Assistant Anna Yu at ayu@wissf.org for an additional copy. All classes are canceled on Winter Games Day, and students and full-time teachers will participate in pool and ping pong tournaments, as well as a pizza party and other activities. Games Day is a mandatory day of fun where everyone celebrates the end of the semester before final exams and gets last-minute help in studying for exams. Students are welcome to bring their video game consoles and other games! School will begin at 9:30 am and close at 2:30 pm. On Monday December 10th, students will be given the final exam schedule, and the exam rules and procedures. Beginning December 17th, students only need to attend school on the days and times of their exams. Ariel will also email the schedule out to families. Students who miss an exam for a legitimate reason and have an excused absence in writing from Ariel are allowed to take the exam during the make-up day. No classes will be held on the Teachers’ Day, while teachers grade exams and calculate final semester grades. There will be no school from Monday, December 24th through Friday, January 4th. Classes will resume on Monday, January 7th. Fall semester reports will be mailed home to parents on Friday, January 11th. Families, especially parents that live overseas, can request an electronic copy of their child’s report from School Office Assistant Anna Yu at ayu@wissf.org starting Monday, January 14th. School will close on Monday, January 21st in observance of Martin Luther King, Jr. Day. King was the chief U.S. spokesperson for nonviolent activism in the Civil Rights Movement, which successfully protested racial discrimination in federal and state law. Classes will resume at 8:30 am on Tuesday, January 22nd. We will be holding our monthly faculty meeting on Tuesday, January 29th. 8:30 am classes will be canceled, and all other classes will be held as usual. Students should arrive in time for their 9:30 am classes. Please join us in thanking Sara Anderson for her excellent work as College Counselor, and in welcoming back Andrea Feeney who will return as our spring semester College Counselor. Andrea was our College Counselor from 2009 to 2012 and has worked closely with Sara for the past 2-1/2 years. She will advise seniors and teach the weekly college counseling class to juniors. Andrea will be on campus Wednesday afternoons. You can reach her at andrea@wissf.org with any college counseling questions for the spring. Thank you to the parents who have supported our Teacher Lunch Program! We continue to look for volunteers to provide lunch for teachers on Thursdays throughout the semester. We ask that families bring food or money to feed 12 people, half of whom are vegetarian. Please contact parent volunteer Terrie Crenshaw at terriecrenshaw@yahoo.com if you are interested in participating. We love our teachers, and they appreciate your support! Thank you, Terrie, for all your hard work coordinating this effort! All are encouraged to follow us on Facebook and Instagram. 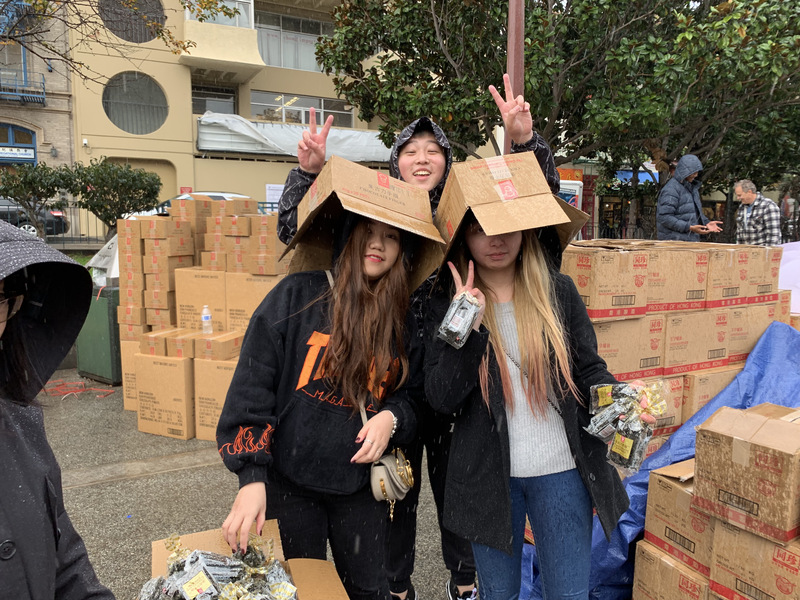 Recent posts include photos from the Community Service Field Trip for the Chinatown Holiday Food Drive.